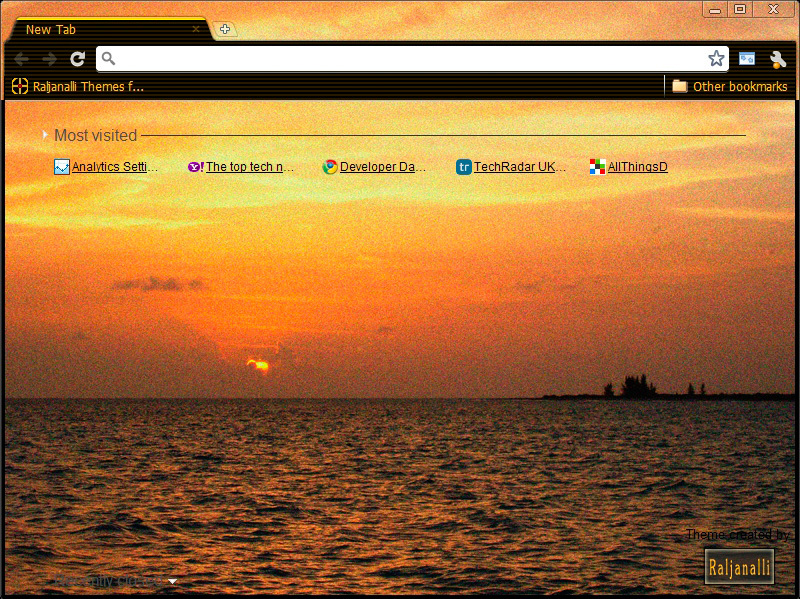 The CSunset2 OpticAmber theme features an original image of a beautiful sunset over the Caribbean Sea off the coast of Anegada Island. The grainy orange and yellow sunset spills across the ocean and into the clouds and will warm up your desktop with a soft golden glow. This Optic theme features high contrast amber text on a dark textured background and a bright header bar on the active tab that together are great for navigating through tabs and bookmarks. The high resolution graphic background is easy on the eyes and makes a great cover-up for a busy desktop.